Gareth Hinds is well-known for his critically-acclaimed graphic novel adaptations of classic literature, including Beowulf (a “mixed-media gem”), King Lear (one of Booklist’s top 10 graphic novels for teens), The Merchant of Venice (“the standard that all others will strive to meet” for Shakespeare adaptation, Kirkus), The Odyssey (four starred reviews and a spot on ten “best of 2010” lists), Romeo and Juliet ( “spellbinding”) and Macbeth (which the New York Times called “stellar” and “a remarkably faithful rendering”). In his latest graphic novel adaptation, Hinds delves into Homer’s epic The Iliad –reimagining this ancient tale of love, loss, war and glory. More than three thousand years ago, two armies faced each other in an epic battle that rewrote history and came to be known as the Trojan War. The Iliad is not just the greatest war story of all time but an epic, an immortal clash, governed by the hubris of man and god alike. In this stunning graphic novel adaptation, renowned illustrator Gareth Hinds breathes new life into Homer's epic. Dynamic illustrations take readers directly to the plains of Troy, into the battle itself, and lay bare the complex emotions of the men, women, and gods whose struggles fueled the war and determined its outcome. We are thrilled to welcome Laure Eve to celebrate The Curses, the riveting sequel to the critically-acclaimed YA novel The Graces that is saturated with magic, the destructive cost of power, and the nature of forgiveness. Sexier and scarier, Laure Eve has upped the stakes, atmosphere, and glitz to create a bewitching sequel. Picking up the pieces after the chilling events of the previous year isn’t easy, but the Grace siblings are determined. Wolf is back after a mysterious disappearance, and everyone’s eager to return to normal. Except Summer, the youngest Grace. Summer has a knack for discovering the truth—and something is troubling her. But exposing secrets is a dangerous game, and it’s not one Summer can win alone. At Summer’s behest, the coven comes back together, drawing their erstwhile friend River back into the fold. But as the coven’s powers magnify, Wolf’s behavior becomes unpredictable, and Summer questions the nature of the friend she so loves. 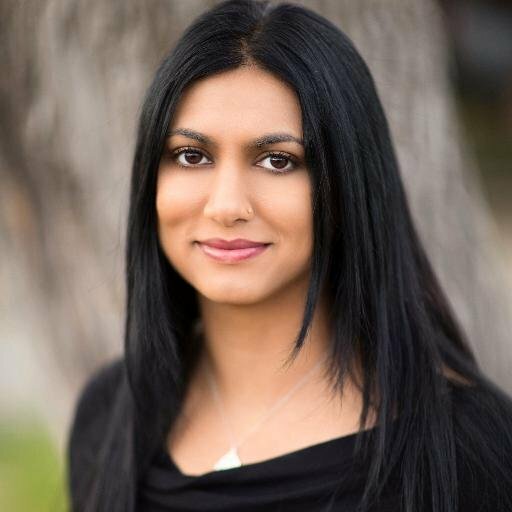 Laure will be chatting with Sabaa Tahir, author of An Ember in the Ashes, A Torch Against the Night, and A Reaper at the Gates. A new book by Kate DiCamillo and Chris Van Dusen is a cause for celebration. 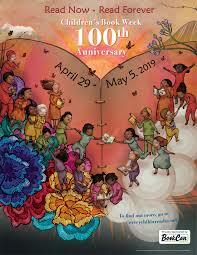 And we WILL be celebrating when Chris Van Dusen, one of our favorite picture book author/illustrators, visits Kepler's on April 6. Every porcine wonder was once a piglet - discover Mercy Watson’s delightful origin story in A Piglet Named Mercy. an endearing picture-book prequel to the beloved New York Times best-selling Mercy Watson series. 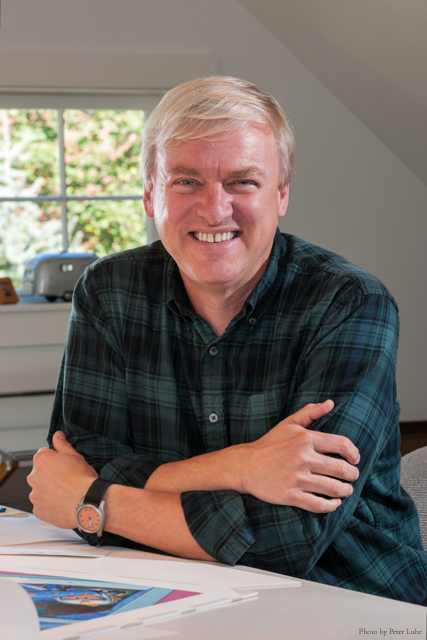 Chris Van Dusen is the author-illustrator of many books for young readers, including The Circus Ship, If I Built a House, If I Built a Car, Down to the Sea with Mr Magee and Hattie & Hudson, and the illustrator of the Mercy Watson and Deckawoo Drive series. Join us and celebrate the joy of a new arrival by a longtime favorite author. Erika will share her adventures and open up a world of wonder with this new book series that J.J. Abrams, director and screenwriter of Star Wars: The Force Awakens, and Lost, calls "A fun, exciting, and action-packed ride that kids will love." and LeVar Burton, host of Reading Rainbow says "is sure to awaken readers' inner adventurer and curiosity about the world around them! 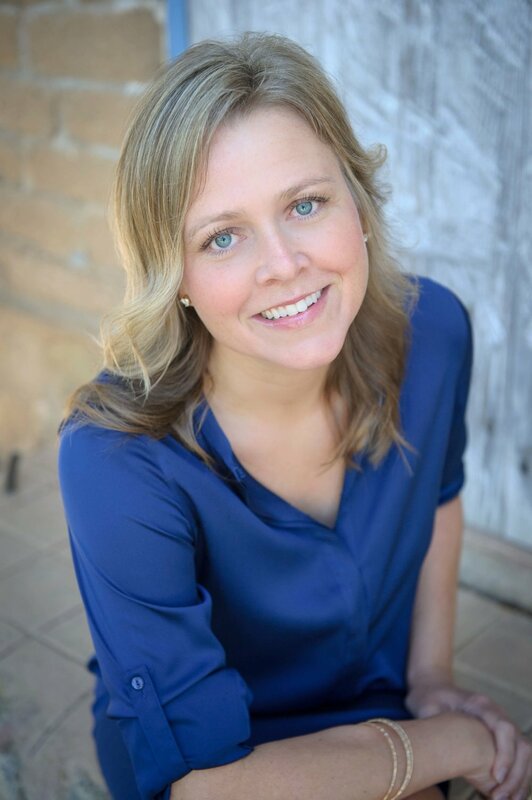 You will get the chance to meet Bergman-- a virtual reality engineer and an enthusiastic ocean explorer who received a National Geographic grant in 2013 for her "Classrooms Under the Sea" expedition to live stream video from submersibles. Erika will join author Trudi Trueit, who has written more than 100 books for young readers. Trudi has been a TV news reporter and weather forecaster, but knew her calling was in writing. We're excited to welcome fan favorite Susan Dennard back to Kepler's with Bloodwitch, her newest story in the New York Times bestselling epic fantasy Witchlands series that Victoria Aveyard (Red Queen) says has “Worldbuilding after my own heart. It’s so good it’s intimidating.” This is fantasy at its very best. The Bloodwitch Aeduan has teamed up with the Threadwitch Iseult and the magical girl Owl to stop a bloodthirsty horde of raiders preparing to destroy a monastery that holds more than just faith. But to do so, he must confront his own father, and his past. 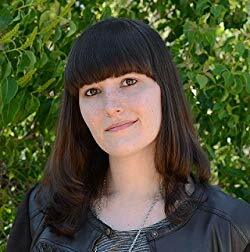 Alexandra Bracken is the New York Times and USA Today bestselling author of the Darkest Minds series, (the movie was released in August of this year and starred Amandla Stenberg), Passenger, and Wayfarer. Her middle grade Prosper Redding series balances magic, humor, and heart and is about a modern New England boy who must rid himself of the ancient demon inhabiting his body and break his family’s curse. 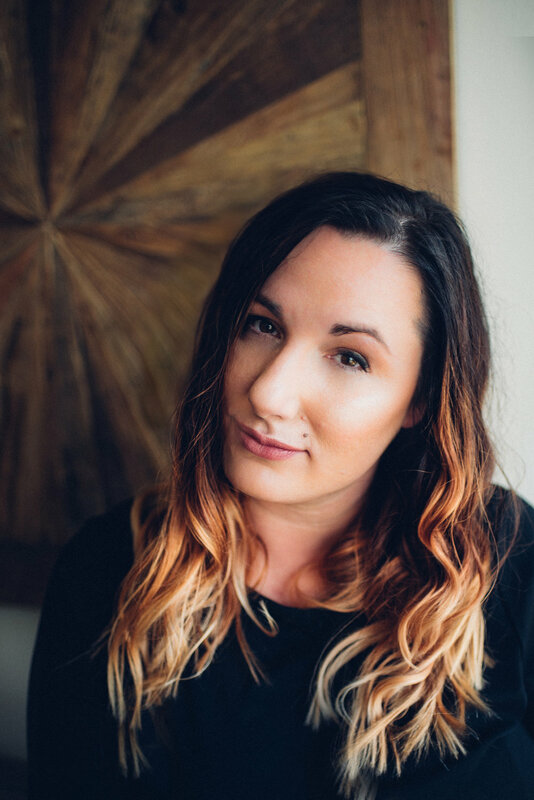 She sold her first book, Brightly Woven, as a senior in college, worked in children's book publishing as an editorial assistant and then in marketing, and now writes full time. 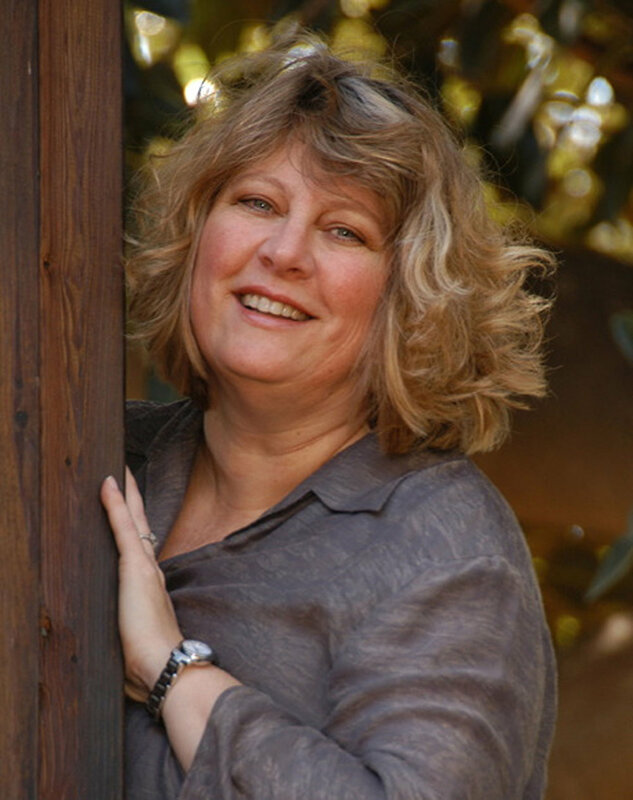 Tamara Ireland Stone is the author of Time and Time Again, a collection of her two novels Time Between Us and Time After Time, as well as the New York Times bestseller Every Last Word. 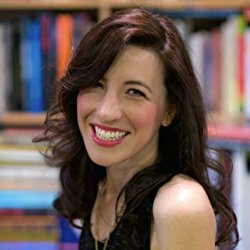 Her middle grade Click’d series features Allie Navarro's explorations in computer programming and weaves together middle school friendship, first crushes, and serious coding skills that will have readers cheering Allie on from the first page to the last. 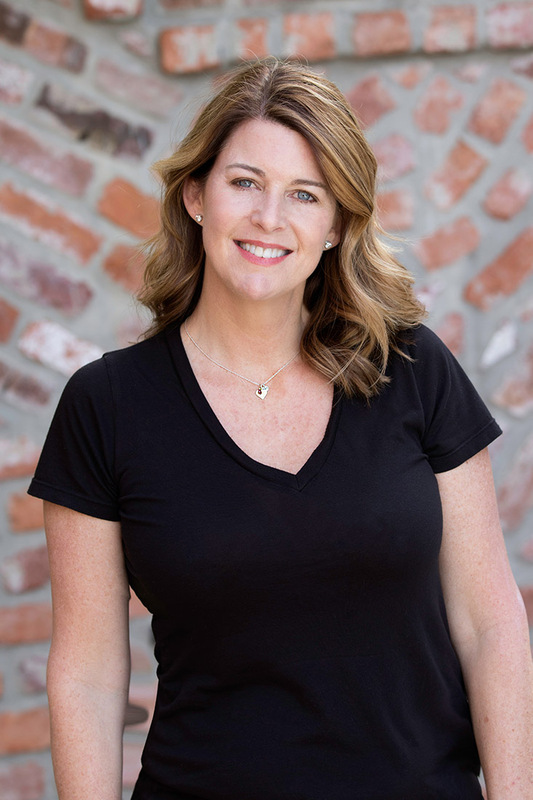 She is a Silicon Valley native and has worked in the technology industry all her life, first testing Atari game boards in her parents’ garage, and later, co-founding a woman-owned marketing strategy firm where she worked with some of the world's largest software companies. She’s passionate about promoting STEM education for girls. Don't miss this chance to hear two amazing authors showcase their wonderful middle grade sequels. 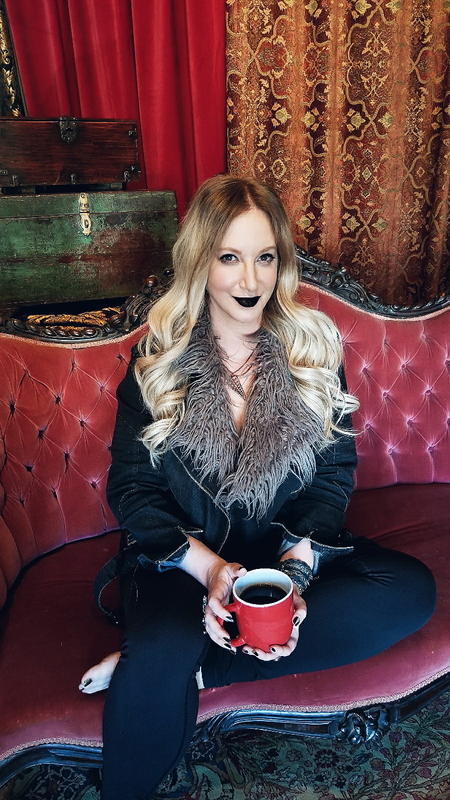 Leigh Bardugo is hitting the road in support of her next adventure in the Grishaverse, King of Scars, and Kepler’s Literary Foundation is lucky enough to be one of the hosts! We could not be more thrilled. 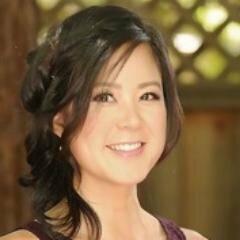 Once Leigh arrives, she’ll host a 30 minute Q&A followed by a book signing. Leigh will personalize copies of King of Scars purchased from Kepler’s and also sign up to two additional titles. You’ll also be able to grab a quick photo with her, so have your cameras ready to go! Leigh Bardugo is a #1 New York Times–bestselling author of fantasy novels and the creator of the Grishaverse. With over two million copies sold, her Grishaverse spans the Shadow and Bone Trilogy, the Six of Crows Duology, The Language of Thorns, and now, King of Scars—with more to come. 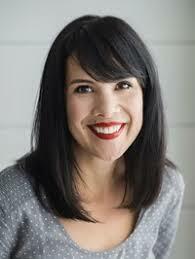 Her other works include Wonder Woman: Warbringer and coming later this year, Ninth House. Leigh was born in Jerusalem, grew up in Los Angeles, graduated from Yale University, and has worked in advertising, journalism, and even makeup and special effects. These days, she lives and writes in Hollywood, where she can occasionally be heard singing with her band. Join us and discover a new favorite. Join us for a special story time with author and photographer Maddie Johnson as she introduces her charming new book, How Tickles Saved Pickles. Learn the true story about one extraordinary pig and his savior in this inspiring photographic picture book. Maddie will be joined by her pot-bellied pig, Pickles, who is an Instagram star (@LivingwithPickles) with over 60,000 followers and has been featured on The Dodo, Inside Edition, and People. How Tickles Saved Pickles tells the story of the time when Pickles the Pig became very sick early in his life. Luckily, there was a large sow named Tickles, who lived on a faraway farm that was willing to help Pickles and save the day. Her act of kindness caused the two pigs — one big, one small — to forge a special friendship that is sure to inspire. 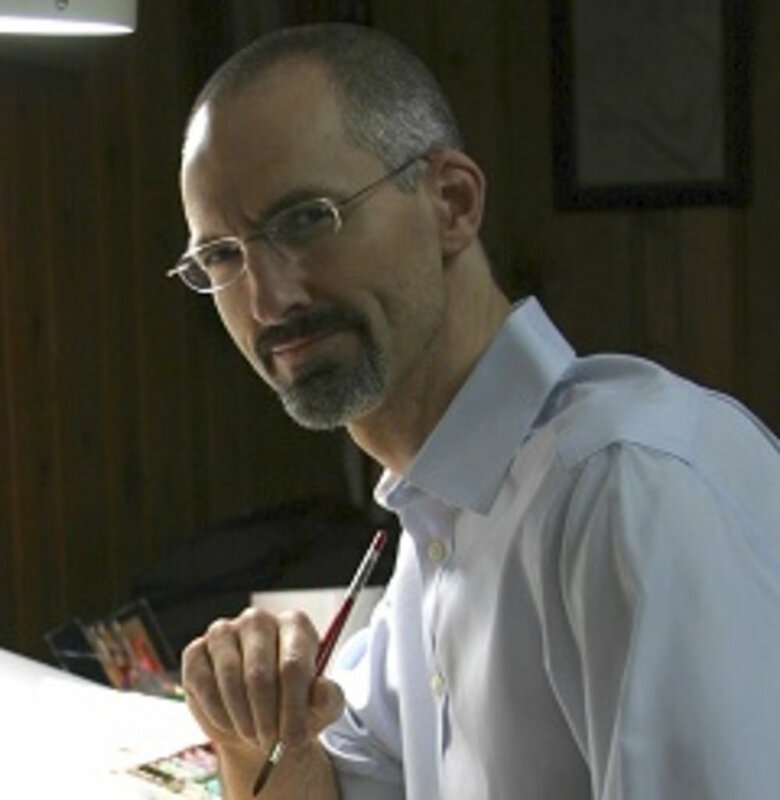 Meet Jeffrey Brown, author/illustrator of the New York Times bestselling Jedi Academy books. He will be introducing Bad to the Bones, Book 3 in the laugh-out-loud graphic novel series Lucy and Andy Neanderthal, about cave kid siblings Lucy and Andy. that masterfully blends facts with funny. Lucy and Andy have some extra space in the cave now the humans have moved out. But they do miss hanging with Sasha and Tommy. Luckily, their new friends live right around the ice block, close enough to form the first-ever explorer's club! These adventurers are on the hunt. Their first big discovery: dinosaur bones! Jeffrey will be chatting with James Parks and Ben Costa, co-creators of Rickety Stitch and the Gelatinous Goo graphic novels about a walking, talking, singing skeleton minstrel. With Carmela Full of Wishes, their first collaboration since the Newbery Medal- and Caldecott Honor-winning Last Stop on Market Street, Matt de la Peña and Christian Robinson deliver a poignant and timely new picture book that's sure to be an instant classic. This “powerful and beautiful” (Kirkus, starred review) picture book explores what hope looks like in a migrant community, and illuminates the experience of a mixed-status families through the lens of a heartfelt sibling story. In a starred review, Publishers Weekly says, "The award-winning team behind Last Stop on Market Street portrays Carmela's Spanish-speaking community as a vibrant place of possibility… Sensitively conceived and exuberantly executed, Carmela's story shines." acclaimed young adult novels. In 2016, he was awarded the NCTE Intellectual Freedom Award. in Last Stop on Market Street, a #1 New York Times bestseller. His picture books include the Gaston and Friends series; Leo: A Ghost Story; School’s First Day of School; The Smallest Girl in the Smallest Grade; Josephine: The Dazzling Life of Josephine Baker; and many more. 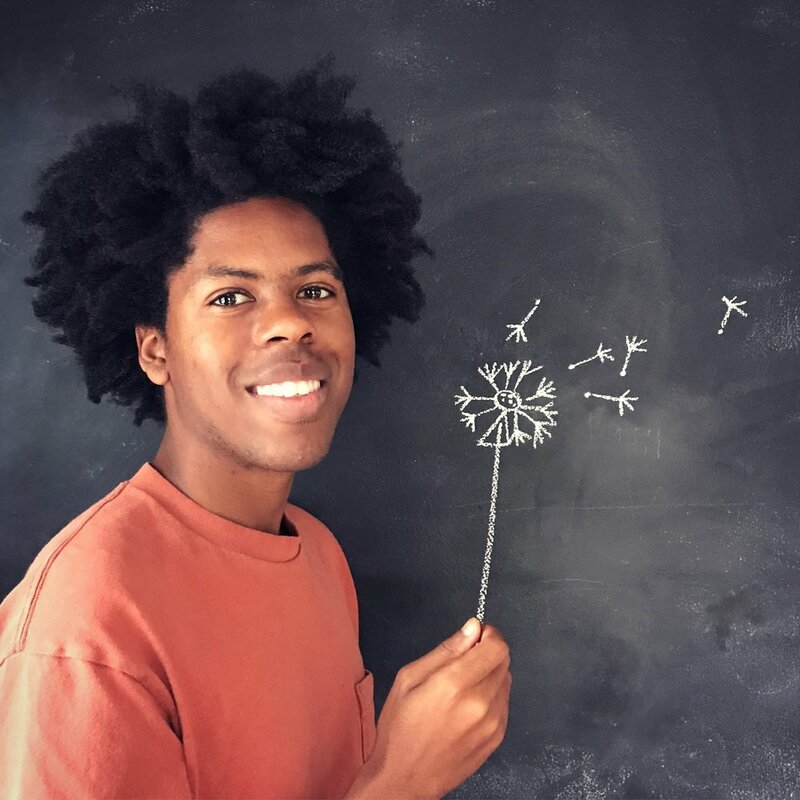 Robinson is also an animator and has worked with The Sesame Street Workshop and Pixar Animation Studios. We could not be more excited: Becky Albertalli and Adam Silvera, two of our favorite authors who met-cute through their agents, are visiting with a book they have co-written in which two boys meet-cute in a New York City post office. Join us as we celebrate their highly anticipated new novel What If It’s Us. 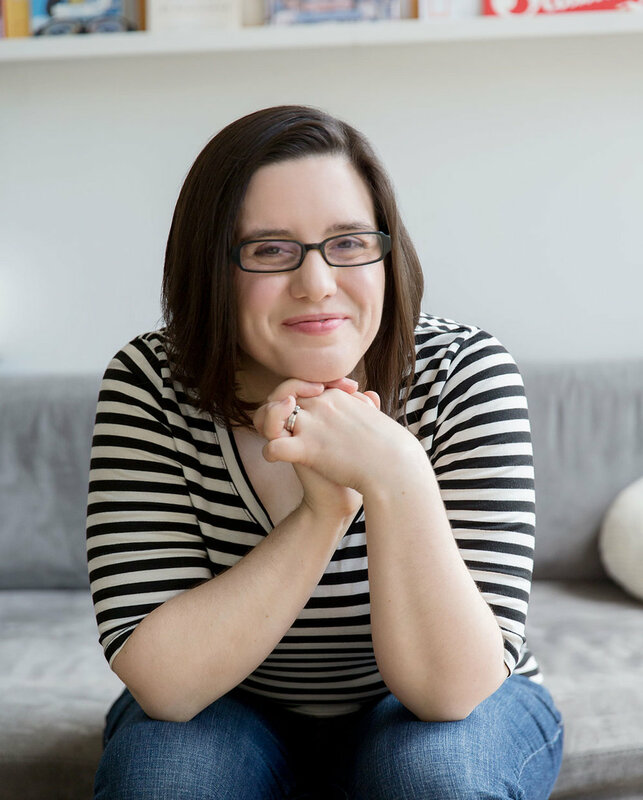 Becky Albertalli is the critically acclaimed and bestselling author of Simon vs. the Homo Sapiens Agenda (now the hit film Love, Simon), Leah on the Offbeat and The Upside of Unrequited. Adam Silvera is the critically acclaimed and bestselling author of They Both Die At the End. More Happy Than Not, and History Is All You Left Me. They have created a funny and heartfelt collaboration about two very different boys who can't decide if the universe is pushing them together or pulling them apart. Arthur is only in New York for the summer, but if Broadway has taught him anything, it's that the universe can deliver a show-stopping romance when you least expect it. Ben thinks the universe needs to mind its business. If the universe had his back, he wouldn't be on his way to the post office carrying a box of his ex-boyfriend's things. But when Arthur and Ben meet-cute at the post office, what exactly does the universe have in store for them? Maybe nothing. After all, they get separated. Maybe everything. After all, they get reunited. It doesn’t get better than this fresh, clever love story. Don’t miss this. 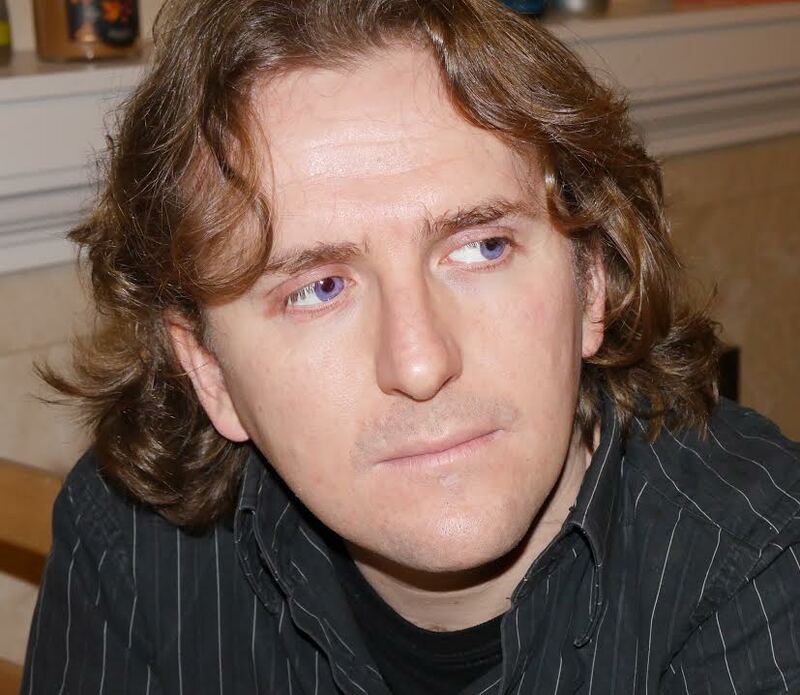 When internationally bestselling author John Flanagan came onto the literary scene over a decade ago, he immediately captivated readers across the globe with The Ruins of Gorlan, the first book in the Ranger’s Apprentice series that he wrote as a series of short stories to encourage his son to read. Now, the Australian author is one of the world’s foremost fantasy-adventure fiction writers, with millions of copies sold across the globe. The series wrapped in 2013 with book twelve, The Royal Ranger, but we have Great nNews: Flanagan is returning to the world of Ranger’s Apprentice to tell the story of Will’s young apprentice, Maddie. Kicking off a new series arc, The Red Fox Clan picks up right where The Royal Ranger left off. After passing her third-year assessment as a ranger's apprentice, Maddie is called home to Castle Araluen. Forced to keep her ranger training a secret, Maddie feels trapped by the monotony of castle life and longs to find a way out. But there are whisperings of a new threat to the kingdom. The mysterious Red Fox Clan, a group of anarchists all donning fox masks, have threatened Castle Araluen and question Princess Cassandra and Madelyn's succession to the throne. Will they succeed in unseating Cassandra and Madelyn and take the throne for themselves? Full of heroics, humor, and epic adventures, John Flanagan’s books are beloved by readers of all ages. The Red Fox Clan will delight longtime fans, while introducing new readers to the captivating world of Ranger’s Apprentice. 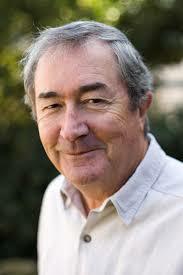 Don’t miss this opportunity to meet John Flanagan and discuss the world of Ranger's Apprentice. 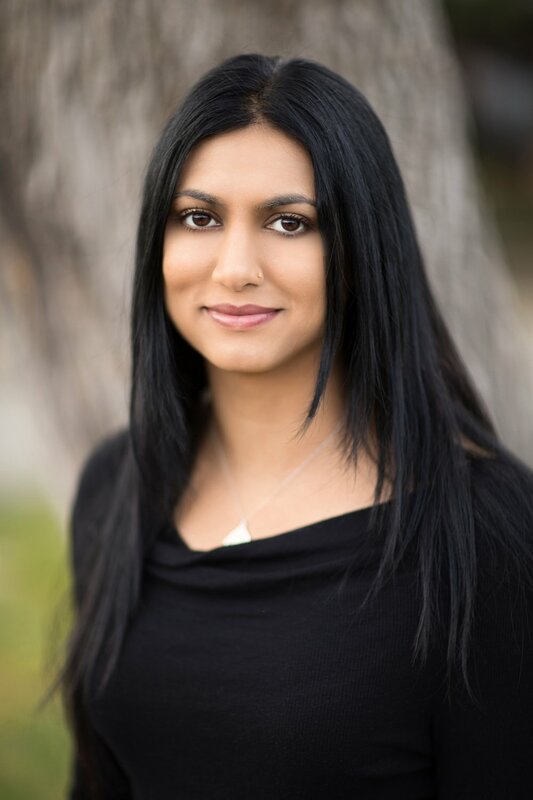 You know the critically-acclaimed National Book Award finalist and New York Times- and USA Today-bestselling author Laini Taylor from her from her incredible Daughter of Smoke and Bone trilogy, a beloved fantasy series that remains a perennial favorite. Fans of Kiersten White's New York Times bestselling And I Darken series rejoice - we're celebrating her fabulous new book, The Dark Descent of Elizabeth Frankenstein, a clever reimagining of Mary Shelley’s classic told from the point of view of Elizabeth, Victor Frankenstein’s adopted sister. This is the Frankenstein legend as you’ve never seen it before. Elizabeth Lavenza hasn’t had a proper meal in weeks. Her arms are covered with bruises from her caregiver, and she is on the verge of being thrown onto the streets . . . until she is brought to the home of Victor Frankenstein, an unsmiling, solitary boy who has everything—except a friend. She is taken in by the Frankenstein family and rewarded with a warm bed, delicious food, and dresses of the finest silk. Soon she and Victor are inseparable. But her new life comes at a price. As the years pass, Elizabeth’s survival depends on managing Victor’s dangerous temper and entertaining his every whim, no matter how depraved. Behind her blue eyes and sweet smile lies the calculating heart of a girl determined to stay alive no matter the cost, as the world around her is consumed by darkness. Two hundred years ago Mary Shelley brought us the original story. Don’t miss this opportunity to meet Kiersten White and talk about her breathtaking reimagining that is “an all around win” according to Kirkus. We couldn’t be more thrilled to welcome back Drew Daywalt, (The Day the Crayons Quit), one of our all-time favorite picture book authors, with acclaimed artist Scott Campbell (Hug Machine) with Sleepy: The Good Night Buddy, their laugh-out-loud twist on the classic bedtime story. Roderick hates going to bed and has has become quite resourceful in coming up with ways to delay the dreaded hour when the lights must go out. Roderick's loving parents—fed up with the distractions and demands that have become his anti-bedtime ritual—decide to get him a stuffed animal to cuddle with and help wind him down. However, Sleepy quickly proves to be a bit high-maintenance. Just when he fears the night may never end, Sleepy's antics become too exhausting for Roderick to bear. How will a boy who routinely refuses to go to bed get a talkative stuffed animal to go to sleep? Drew Daywalt is the much loved, incredibly funny New York Times best-selling author, best known for writing The Day the Crayons Quit and its sequel, The Day the Crayons Came Home, both illustrated by Oliver Jeffers. 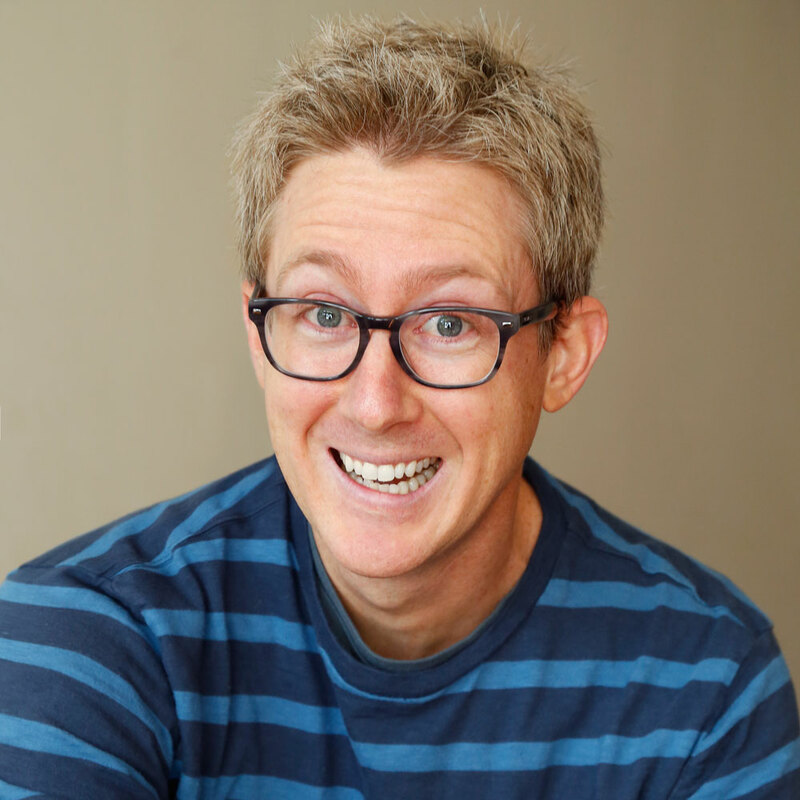 Drew is also the author of The Legend of Rock, Paper, Scissors, illustrated by Adam Rex, and Star Wars: BB-8 On the Run, illustrated by Matt Myers. 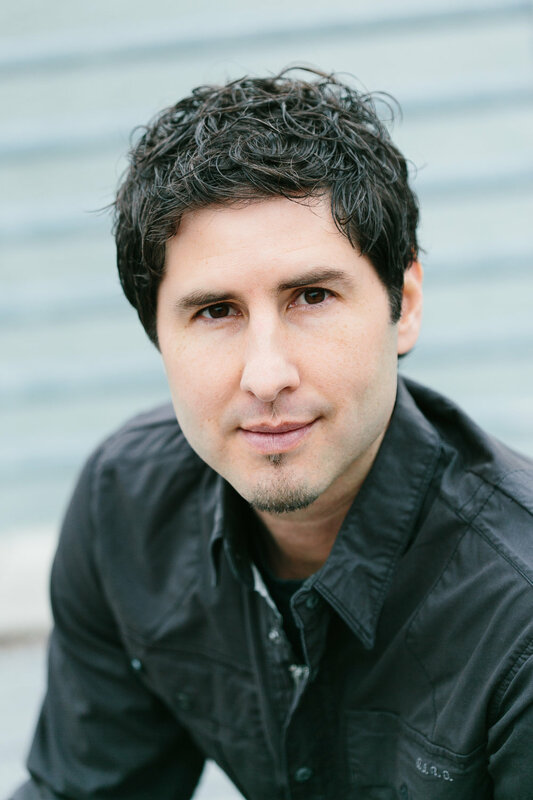 Drew is also a Hollywood screenwriter. It’s impossible not to crack up while reading Sleepy: The Good Night Buddy. Join us and discover a new favorite. 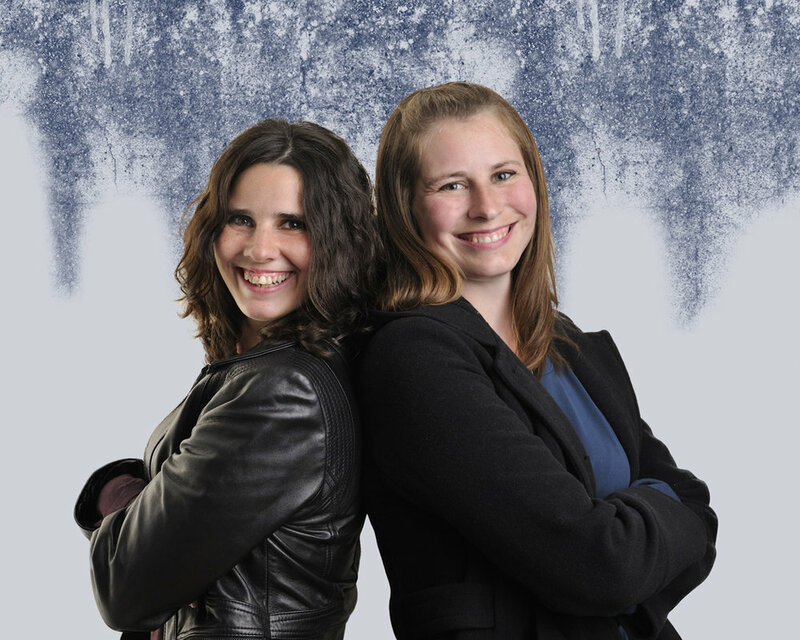 We are excited to welcome Heidi Lang and Kati Bartkowski, sisters and co-authors of A Dash of Dragons (which Kirkus calls “a recipe for success”) for their sequel, A Hint of Hydra, and Beth McMullen for Power Play, the sequel to Mrs Smith’s Spy School for Girls. Thirteen-year-old chef Lailu Loganberry must stop a war between the elves and scientists in A Hint of Hyrdra. And in Power Play, Abby Hunter and her friends embark on their first “official” mission. They tangle with the world’s most notorious hacker, get in trouble for the possible theft of the Mona Lisa, and with a little luck might just save the world. 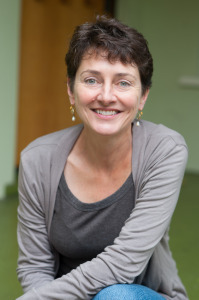 Jill Diamond, author of the Lou Lou and Pea books, will be moderating. Join us to meet this amazing panel of middle grade authors who will be talking about strong-willed girls who persist, dragons, spies, monsters, dogs and so much more. Annie Barrows started writing books when she was nine, but they never turned out the way she wanted, so she gave up on writing for twenty-five years. 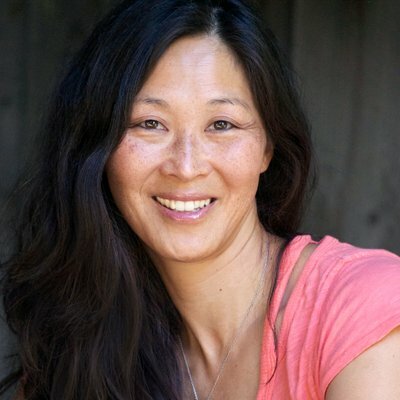 Annie is the co-author of the New York Times best-selling The Guernsey Literary and Potato Peel Society (the movie will be released by Netflix in August for the US market) but Ivy and Bean was her first book for kids. 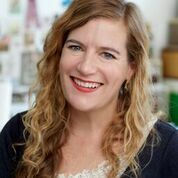 Sophie Blackall has illustrated more than twenty books, which have won awards such as the Caldecott Medal, Ezra Jack Keats Award, and the Founders Award from the Society of Illustrators. Discover the true horror of social media in #murdertrending by critically-acclaimed author Gretchen McNeil Think Scream Queens meets The Hunger Games, in which seventeen-year-old Dee Guerrera is wrongfully convicted and sent to a prison island where convicts are hunted down and their deaths are streamed on social media for "spikes.” With its morbid, tongue-in-cheek sense of humor and twisty, gasp-inducing mystery, this novel has already been optioned for development by television studio ABC Signature. Welcome to the near future, where good and honest citizens can enjoy watching the executions of society’s most infamous convicted felons, streaming live on The Postman app from the suburbanized prison island Alcatraz 2.0. Can Dee prove she’s innocent before she ends up wrongfully murdered for the world to see? This dark, unique, and intelligent novel comments on the horrors of social media, and draws upon the fascination with today’s trend of murder in entertainment, such as Serial and Making a Murderer. 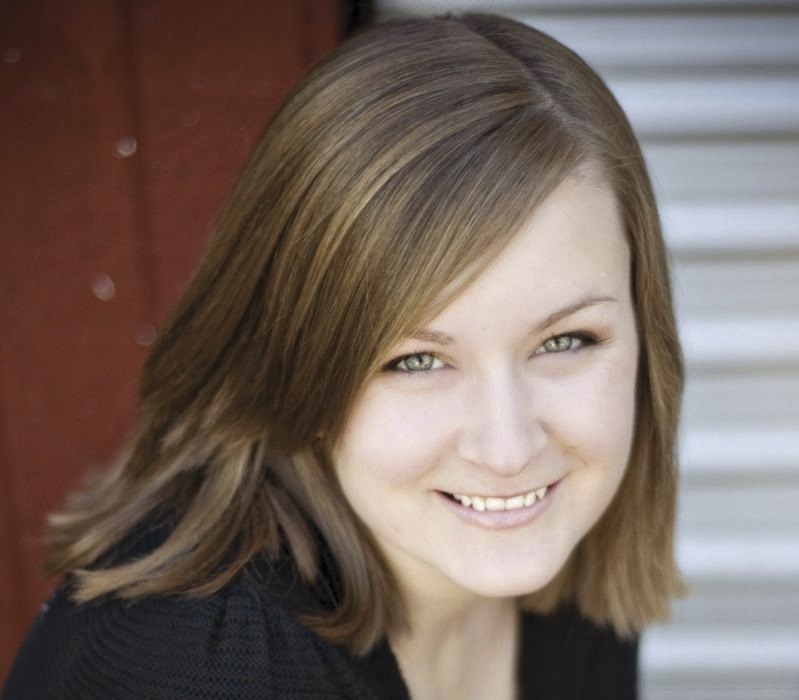 Gretchen McNeil is the author of I’m Not Your Manic Pixie Dream Girl , the Don’t Get Mad duology, and the YA horror novels Possess, 3:59, Relic, and Ten which was a 2013 YALSA Top Ten Quick Pick for Reluctant Young Adult Readers and was adapted as the Lifetime original movie Ten: Murder Island in 2017. Gretchen will be chatting with Stephanie Kuehn, author of the William C Morris Award winning Charm and Strange, Complicit, The Smaller Evil, Delicate Monsters, and When I Am Through With You. Booklist has praised her work as “Intelligent, compulsively readable literary fiction with a dark twist." Ever wondered what it takes to write a children’s picture book? Seas the day and join us as we launch JoAnne Wetzel’s picture book Mermaid School and celebrate Tim McCanna’s Bitty Bot’s Big Beach Getaway JoAnne and Tim will discuss how to write a picture book and how they both decided to give their latest books an undersea setting. 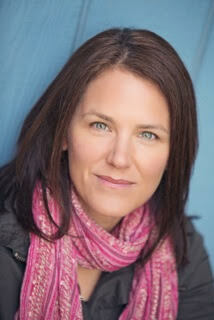 JoAnne Stewart Wetzel is the author of two children's books on theater, Onstage/Backstage and Playing Juliet. Her first picture book, The Christmas Box, was named a Noteworthy Book for Children by the Bank Street College of Education. 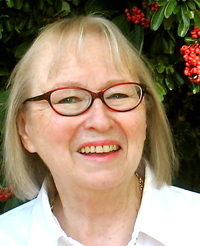 She has worked in public relations, as a columnist for Gentry Magazine, taught at the elementary, high school and college levels, was a children’s librarian, and served as the Regional Advisor for SCBWI’s San Francisco/South chapter. 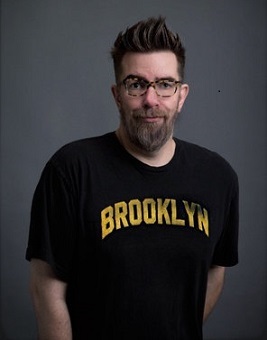 Tim McCanna is the author of Bitty Bot, Barnyard Boogie, and Watersong, which was a 2017 New York Public Library Best Book for Kids and National Council of Teachers of English Notable Poetry Book. 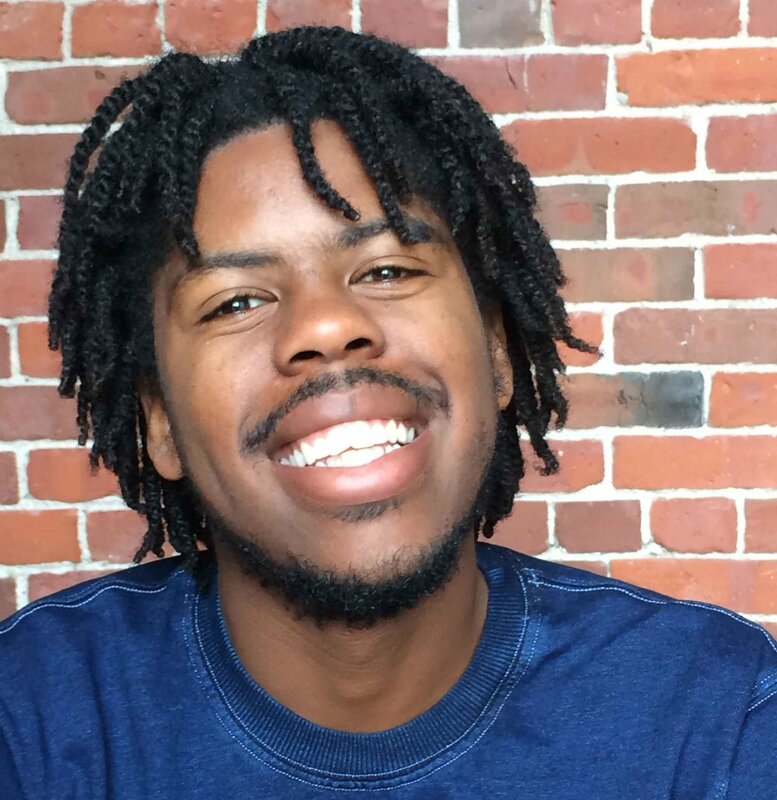 His 2018 picture books include Jack B. Ninja, Bitty Bot’s Big Beach Getaway, So Many Sounds, and Boing! 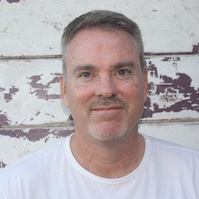 Tim served eight years as Assistant Regional Advisor for SCBWI’s San Francisco/South chapter, and has been an actor, musician, musical theater writer, and graphic designer before becoming a children’s book author. 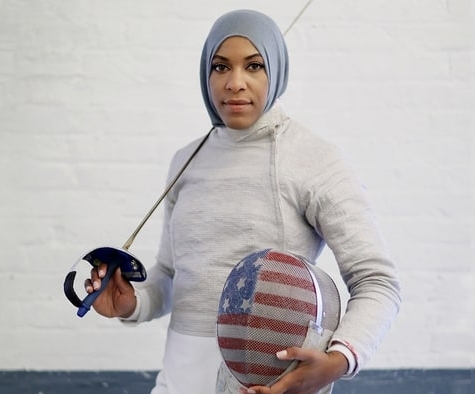 Meet Ibtihaj Muhammad, Olympic fencer, the first Muslim American woman in hijab to compete for the United States in the Olympic Games and the first female Muslim American to medal at the Olympic Games, winning bronze in the women's sabre team event. Named one of TIME magazine's 100 Most Influential People in the World, she serves as a sports ambassador for the U.S. State Department, cofounded Athletes for Impact and the clothing company Louella, and inspired the first hijabi Barbie in her likeness. In both the youth edition (which includes advice for young readers and is abridged especially for younger readers) and adult edition of her new book Proud, Ibtihaj tells her moving all-American tale of how she overcame obstacles and racism on the way to following her dream. 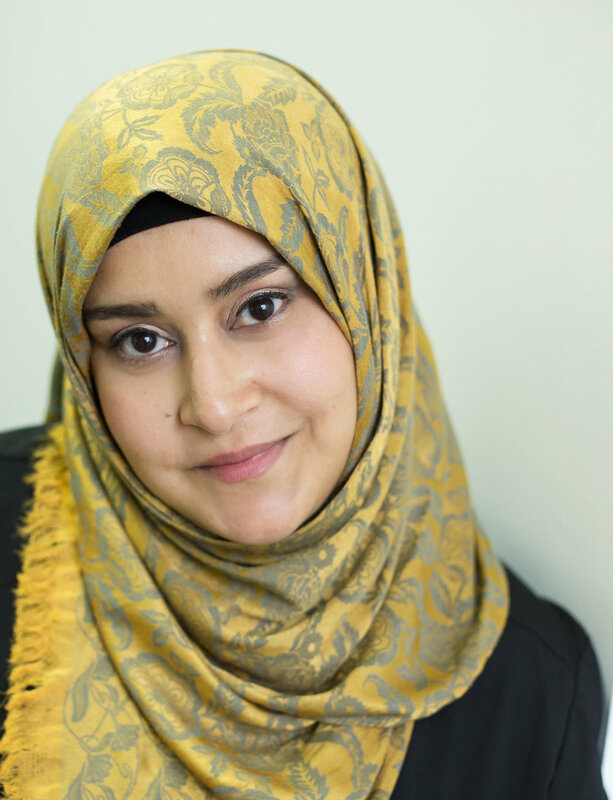 Come to hear Ibtihaj share stories from her unforgettable and inspiring tale of perseverance. Raised by a police officer and an elementary school teacher in New Jersey with five siblings, Ibtihaj sought out sports as a means to fund college - and fencing was one of the only sports in which she could participate in modest dress. She was fast, hardworking, and devoted to her faith. But in a sport most popular with privileged young white people, Ibtihaj often felt out of place. Rivals and teammates (as well as coaches and officials) pointed out her differences, insisting she would never succeed. Yet Ibtihaj powered on, rising above bigotry and other struggles on the path to success. Both editions of Proud share Muhammad’s motivating journey from a young outsider to a national hero. Her story is a relatable, memorable tale of hard work, determination, and self-reliance. This event is for all ages. Come and be inspired.